Do you have a significant other who travels for business? Or travels with friends or family without you? How do you deal with the house and your family while he or she is gone? I've never been in this situation before, but soon my hubby is going to be away for nearly 2 weeks. We share the load in our family and while I'm the "at-home" parent right now, it's still going to be a big adjustment having him gone. 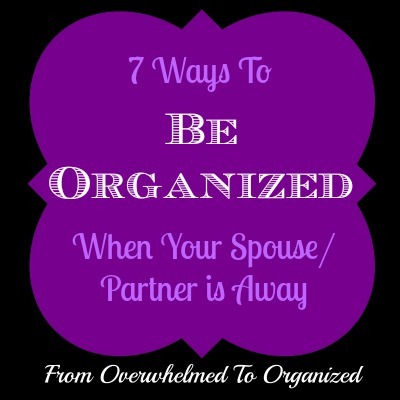 Today I want to share how I'm getting organized to prepare for the time he's away. Hopefully these 7 tips will help you if you're in this situation too. It's barely spring in some areas (like here in Southern Ontario! ), but many of us are starting to think about summer vacations. In our family, we aren't able to take time off during the summer because my hubby is pretty low on the seniority list at Canada Post. So we're going to be pulling the kids out of school for a couple of weeks in May to get away as a family (more on that in upcoming posts). And just before that my hubby is traveling on a Holy Lands cruise for 10 days with his sister (it was a trip she won and she invited him to go with her). Whether you've got a trip booked or you're just starting to think about a summer vacation, now is the perfect time to start planning your next trip. And to help you out, here are some links with great tools and tips! 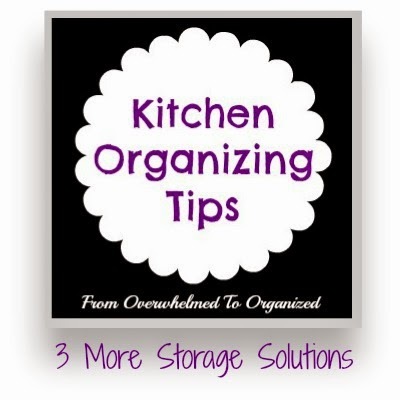 This is the final post in the kitchen organizing tips series! For those of you who follow my blog regularly, it probably felt like this series would never end. I started it back in November... put it on hold... twice... and here I am nearly 6 months later... finally wrapping it up. Thank you so much for hanging in there with me! I have one final tip for you today and I'll show the whole kitchen and how it fits together (since most of the posts just showed small areas). 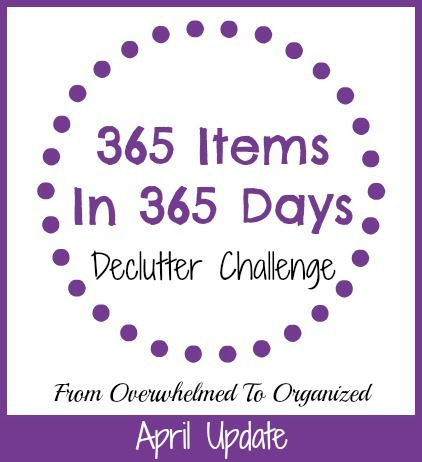 How are you doing in the 365 Items in 365 Days Declutter Challenge? It's the 111th day of the year today so your target is to have purged 111 items by now. But don't worry if you're behind ... there's still lots of time to declutter! 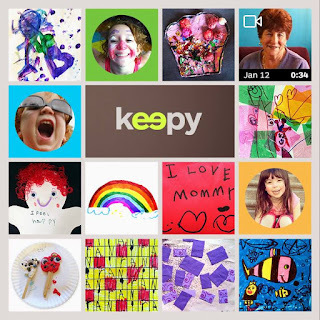 Our 365 Items in 365 Days Facebook group continues to grow! I'm still adding new people on a regular basis and you are jumping in and sharing pictures, asking questions, and encouraging others. It's amazing to be part of. If you haven't joined yet, click here and ask to join and I'll add you. It's a great way to be encouraged by others who are decluttering and find motivation to continue when you're feeling discouraged. I often see someone else's decluttering posts or pictures and think, "I should purge that too!" 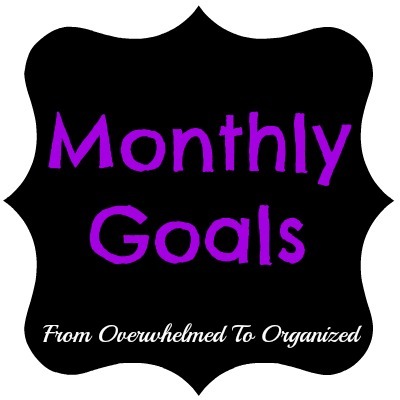 Today I want to share what I've been decluttering this month. 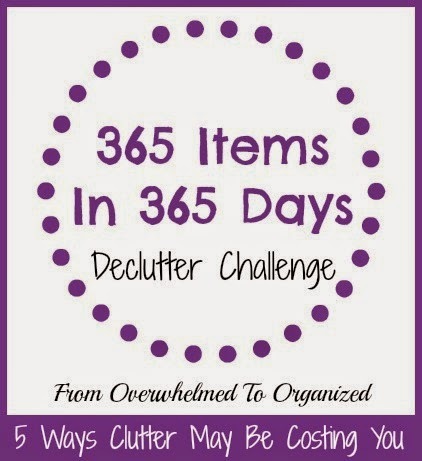 My hope in doing this is to give you ideas on items you can declutter too. Earlier this week I shared how I used an old microwave stand for extra storage in my kitchen. It got me thinking about other pieces of furniture that could be used in a kitchen. Here are a few creative ways to re-purpose furniture from other rooms in your home to give you extra storage in your kitchen! How is your kitchen organizing going? 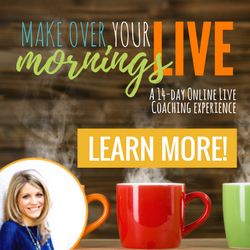 Have you been applying lots of the tips I've shared in this series? Along the way, I've showed you lots of storage solutions for your kitchen, and today I want to show you 3 more items I used in my kitchen. 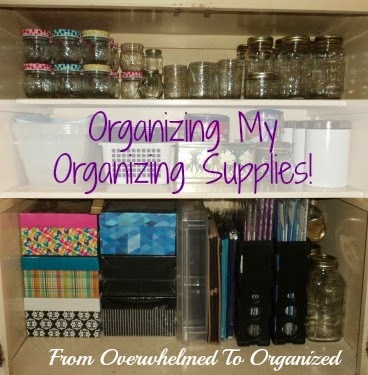 Do you keep organizing supplies and products so you can use them when you're organizing? 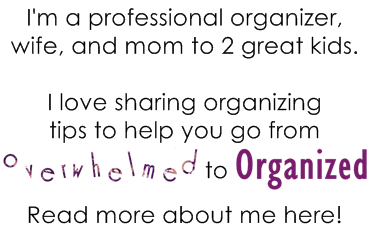 Empty baskets, bins, jars, or other containers that you no longer need in one place in your home that can be used when you organize another? Or maybe you bought some fantastic organizing containers on sale but haven't actually done anything with them yet? Yeah... me too. I don't buy a lot of things without having a specific plan in mind, but I do pick up some items that I know I use regularly if I see a great deal on them. The trouble is, with all the decluttering I've been doing, I'm ending up with a lot of empty containers from other parts of my home too! Plus, to be more cost effective, I'd been keeping a bunch of empty food containers to use for organizing. My organizing supplies needed organizing. Do you have a small kitchen? Or does your kitchen feel small because you have too many items collecting on your surfaces (or stored there regularly)? A couple of months ago I shared tips for decluttering your counters to make your kitchen feel bigger. If you haven't read it yet, you really should. It kind of sets the stage for today's post. The key to organizing a small kitchen is to maximize vertical space. I've already mentioned this tip for deep drawers and cupboards (using wire shelves and under-the-shelf racks). Today I want to talk about how I used a small bookshelf unit to maximize vertical space in my kitchen and clear clutter off my counters and tables. For the last 2 weeks I've been telling you about the All Organized ebook Bundle and sharing reviews of some of the books included in this awesome bundle. Well, the sale ends TODAY! So if you haven't bought yours yet, you need to do it before 11:59 p.m. EST or you'll miss out! 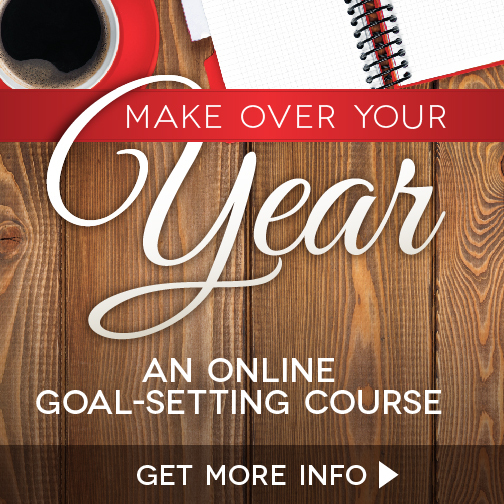 Today I want to tell you about one more ebook from this bundle that I've read, and share some of the ways I think it will help me organize my life! 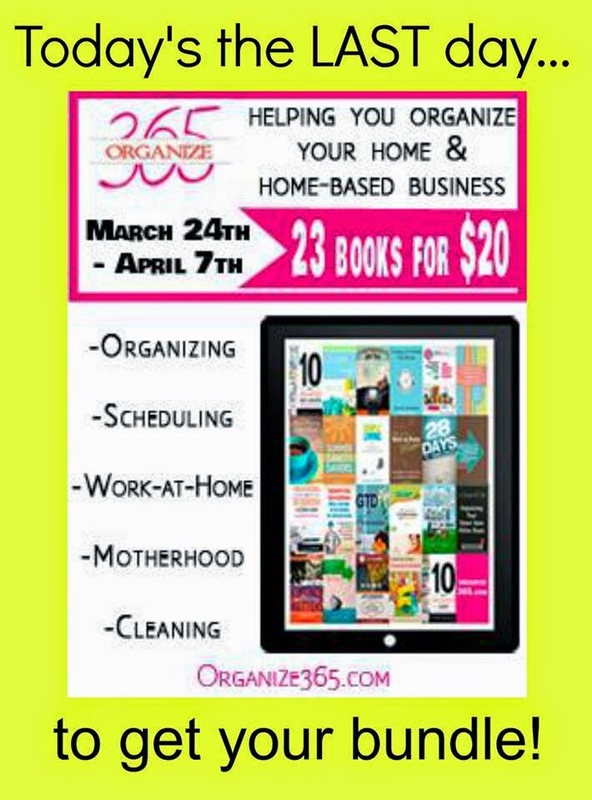 Paperless Home Organization - Doesn't That Sound Great?! Happy Friday everyone! 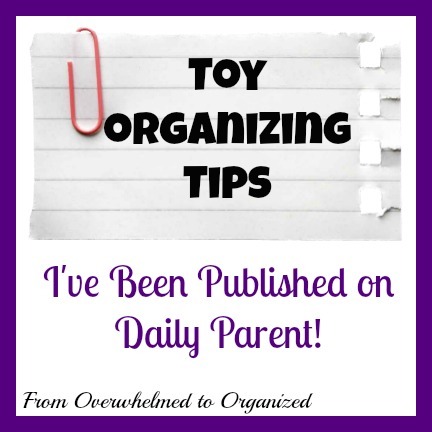 Today I'm excited to be guest posting over on Organize365! 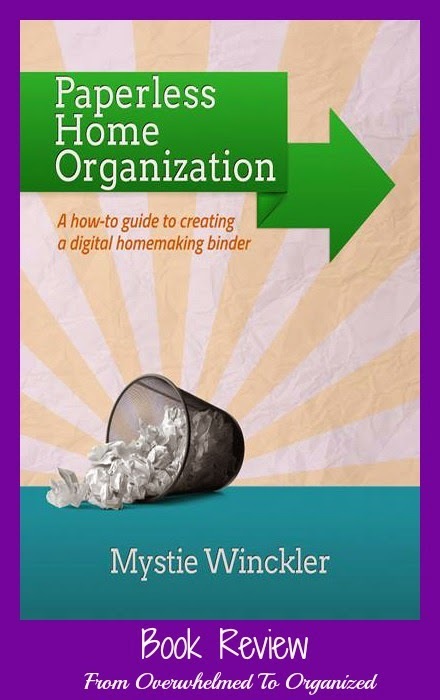 I'm reviewing the book "Paperless Home Organization" by Mystie Winckler, which is part of the All Organized eBook Bundle. Do you have paper all over your home? Do you ever have trouble finding what you need? Or do you forget to do something because it wasn't written down or you lost the reminder? Do you need to access your paperwork and notes on the go? 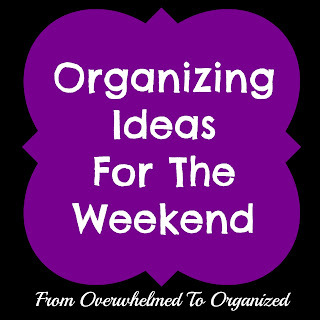 That's why I love the title "Paperless Home Organization"! 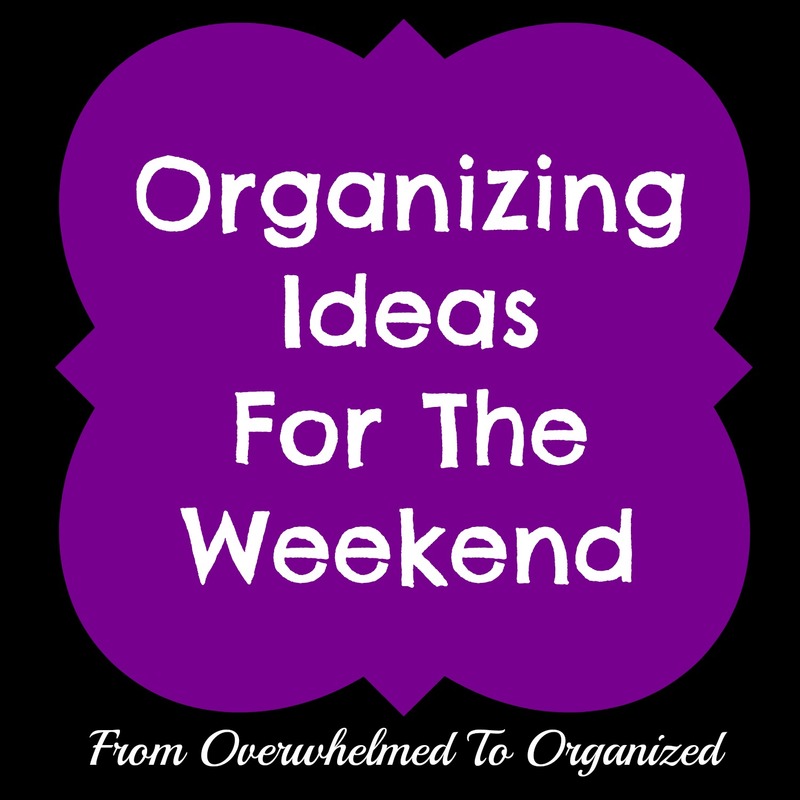 It intrigues me to think that I could organize my home without paper. I'm a list maker. One of those "I need to write this down or I'll forget it" people. I've started tracking more things electronically, but I'm definitely not paperless yet. A couple of months ago I shared 10 Ways Your Clutter May Be Costing You Money and it was a very popular post. It seems a lot of people are concerned that they may be missing out financially by having too much clutter in their homes! 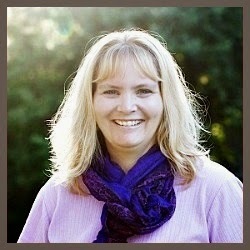 Since it's such a big issue, today I'm back with more ways your clutter may be costing you money! Yay! It's April! One of my favourite months of the year. It's my hubby's birthday today (yep April fools baby LOL) and it's finally starting to look a tiny bit like spring around here.